Art work on left by Pat Rawlings courtesy NASA. The NSS-Kalam initiative is an effort to solve the global energy crisis, the global carbon crisis, and America’s next generation jobs crisis by harvesting solar power in space. The initiative took a giant step forward with its participation in the 4th China Energy and Environment Summit (CEES) on August 28 at the International University of Business and Economics (IUBE) in Beijing, China, organized by IUBE Vice President Dr. Lin Zhiqin. This high-level meeting focused on China’s future energy requirements and their impact on China’s environment, and included some of China’s leading academicians, technologists, and government officials. Dr. Feng Hsu, formerly of NASA, and currently vice president of Space Energy, coordinated the invitation from CEES to former President of India Dr. A.P.J. Abdul Kalam and an NSS delegation led by NSS Chairman of the Executive Committee Mark Hopkins. 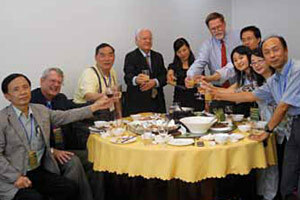 A toast to American-Chinese cooperation at the NSS-Kalam meeting. Dr. Kalam was invited to give the keynote address, “Harvesting Space Solar Power: A Global Vision,” and he spoke to the attendees from New Delhi on Sunday morning at the opening session. He stressed the need to integrate international efforts to understand our own planet, to face challenges such as those related to adequate supplies of clean energy and clean water, and to educate the population about these challenges. As an internationally recognized scientist, he proposed developing largescale space missions that will benefit humanity such as space-based solar power, providing comprehensive space security dealing with the problem of space debris, and expanding efforts to explore targets of exploration such as the Moon and Mars. Dr. Kalam said that present international space capabilities are not used optimally and proposed the formation of a World Space Council to advance these goals, lower the cost of access to space, capture the imagination of the young, and improve the utilization of resources. In addition, Dr. Kalam called for the development of a not-for-profit World Knowledge Platform to share research via a consortium of universities to conduct studies and research. The convergence of thinking on methods of international collaboration on energy and environmental issues was also demonstrated by Dr. Lin Zhiqin’s book, The Path to a Global Think-Tank, which summarizes the thinking of the first three CEES conferences and lays out the details. NSS has already established the largest open-source resource of space solar power research, available in the NSS website Space Solar Power Library. At the event, Mark Hopkins spoke about the NSS’ role as the premier member-based non-profit advocate for space economic development and settlement in the United States. He also discussed NSS’ commitment to create international support and collaboration for the research and development of clean energy from space-based solar power. Hopkins welcomed Chinese participation in these challenges and their contributions to international space development as China continues to rapidly grow its economy. China’s role in the development of space-based energy resources will be a key determinant in the future of humanity, as will India, another rapidly growing economic giant. 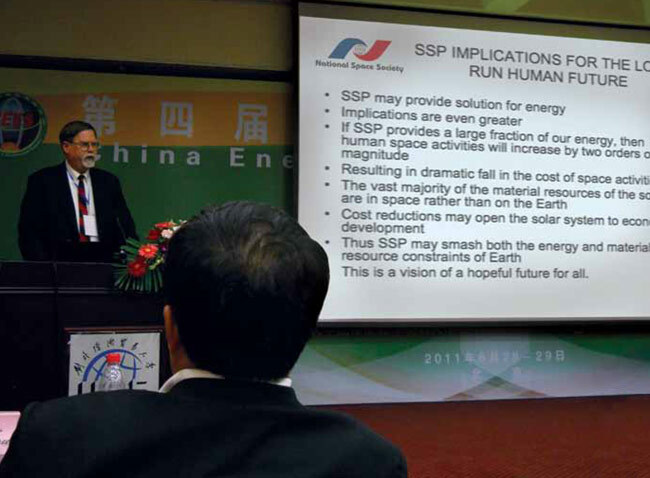 NSS CEO Mark Hopkins gives a presentation on SSP at the China Energy and Environment Summit. Dave Dunlop spoke about the strategic convergence for clean energy options. He drew parallels between international support of a commercial fusion reactor and the argument for similar support for development of space-based solar power. He also indicated that a significant humanitarian purpose for a space-based solar power demo satellite might build on the example of the UN SPIDER (Space-based Platform for Information and Disaster Management and Emergency Response) program, which targets power to areas struck by natural disasters, including earthquakes, floods, hurricanes, and drought. Perhaps the most dramatic presentation was made by Martin Hoeffer, who addressed the meeting electronically even as Hurricane Irene lashed New York city at 5 a.m., where power had recently been restored to his home. He presented some of the economic issues and a model associated with space-based solar power development. Nobel Laureate and energy expert Dr. Sergio Trindade, an MIT-educated chemical engineer, presented a picture of the mix of energy utilization from 1860 projected through to 2100. He said that in the past, present, and future, a mix of various energy sources will characterize the global economy. He projected that solar power, including space-based solar power, will account for some 50 percent of the global energy supply by 2100, and that “new biomass” sources such as bio-fuels will account for some 20 percent of the total in the same period (“Old biomass” reflected the earlier dependence on wood for heating). The balance of supply in 2100 would be a mixture of hydro-power, natural gas, petroleum, wind, and even coal. His projections underscored the serious consideration of solar power and space-based solar power becoming the major component of the global energy economy. The focus on this option at the 2011 CEES underscores not only the interest of China’s government, as well as its academic and research community, but the interest of private sector in this development as well. Steven Tennsel, CEO of Space Energy, presented the corporation’s plan to develop terrestrial energy services to support the longer-term initiation of space-based solar power development industrialization. Other Chinese investment groups demonstrated interest in this potential for space-related economic development with their sponsorship of conference activities. The National Space Society will pursue this agenda with a meeting later this fall in India with Dr. Kalam and members of the Indian Space Research Organization (ISRO), also led by Mark Hopkins, and including Canadian collaborators from Space Canada, George Dietrich and Howard Bloom. 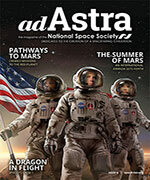 The International Astronautical Academy report on space-based solar power development under the direction of John Mankins will be released early this fall. The NSS delegation also anticipates meeting with Dr. M. Nair, the former ISRO director and chair of the International Academy of Astronautics while they are in India. They will discuss how to develop international interest and momentum for space-based solar power. 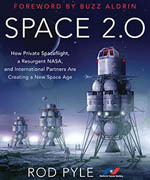 Of the G-20 nations, only Japan’s government has made a strategic commitment to development of space-based solar power. 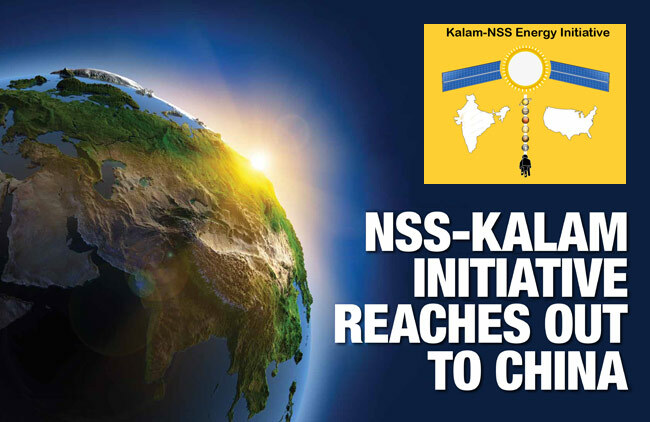 With luck, the NSS-Kalam initiative will move additional countries towards a strategic commitment to space-based solar research and development, including Canada, China, India, and the United States. NSS is working toward more a more formal collaborative structure.